Who is Involved in Neighborhood Watch? Any national initiative or program requires contributions at multiple levels, from the federal government to sheriffs to individual citizens. The National Sheriffs’ Association is working with the Bureau of Justice Assistance, Office of Justice Programs, and the U.S. Department of Justice to form new Neighborhood Watch groups and revitalize existing groups. In order to reach the citizens, local law enforcement agencies have been given a charge to involve the people in their community. Anyone and everyone can be involved in a Neighborhood Watch group. Local law enforcement agencies are charged to reach out to their communities to form local partnerships that will assist in the development of new Neighborhood Watch programs and enhance existing programs. By partnering together, crime can be prevented or reduced, and the overall quality of life can be improved. Law enforcement officers include sheriffs’ deputies, police officers, and any other sworn law enforcement. 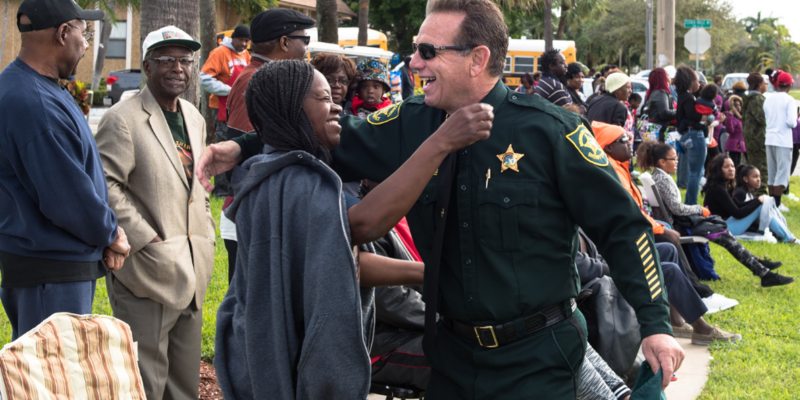 A law enforcement liaison is the law enforcement officer or deputy specifically assigned the responsibility of establishing and supporting local Neighborhood Watch groups. The liaison will guide Neighborhood Watch leaders to make decisions that will be best for their group. The officer will train Neighborhood Watch leaders, block captains and members in areas ranging from setting goals to how to report suspicious activities. The liaison should also be involved in facilitating community-wide Neighborhood Watch activities. 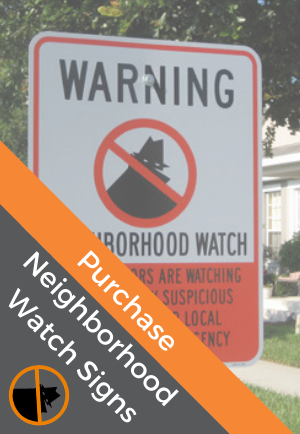 A good, working relationship with your community's law enforcement agency is key to an effective neighborhood watch! Neighborhood Watch members have several responsibilities. One of the most important things a member can do is to remain active. An active member will help create and maintain a level of excitement about the program. This will help recruit more members, which will lead to a higher level of crime prevention. It is the responsibility of members to stay informed about issues in their neighborhood and community. This information should be shared with others to keep members motivated and to prevent the group from becoming stagnant.